Wimborne Writing Group resumed last week after a refreshing summer break. Everyone has so been busy writing and one morning wasn’t long enough to hear everything. Looking forward to our next get-together! One of Ruth’s poems was commended in a national competition (and won her a prize) and Gail’s short story is being included in the latest Cafe Lit publication. Keep this up, team! Wimborne Writing Group re-starts in one week’s time. I’ve had a busy summer and am looking forward now to seeing all my lovely writing friends and getting a writing discipline back into my life. Writing something every day is a good start but so is thinking about what I want to say and why. Although thinking too much about our readers can be inhibiting, good writing is always crafted. This summer has been too full of war and strife across the world. What do poetry and fiction have to offer in dark times? is a question that preoccupies me. 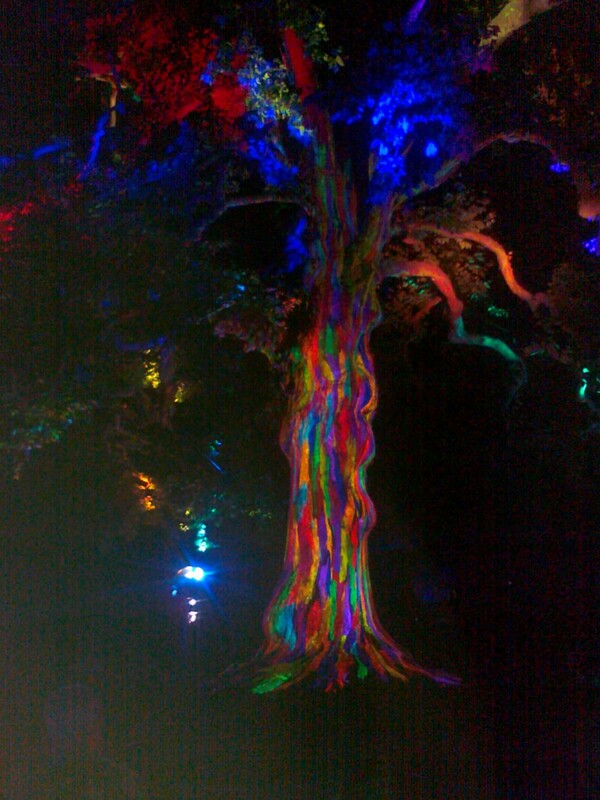 This photo is of a huge and ancient tree used for a music and light show in Bayeux last month. Next day we visited Caen memorial Museum and were completely immersed in WW2 and particularly how it affected Normandy.